Gecko’s Cricket Nets System is a proven and guaranteed solution that reduces the risk to an athlete’s safety at your sporting facility. We provide a complete solution for refurbishing your worn and tired Practice Nets or Pitch which improves a cricketers’ safety and provides a more consistent pitch surface. Eliminate those tired, nasty and uneven surfaces with Gecko’s Cricket Practice Nets System. Geckos MSPRO®10 Synthetic Grass Surface provides an even playing surface with exceptional consistency which in turn promotes a cricketers’ confidence and optimum performance. 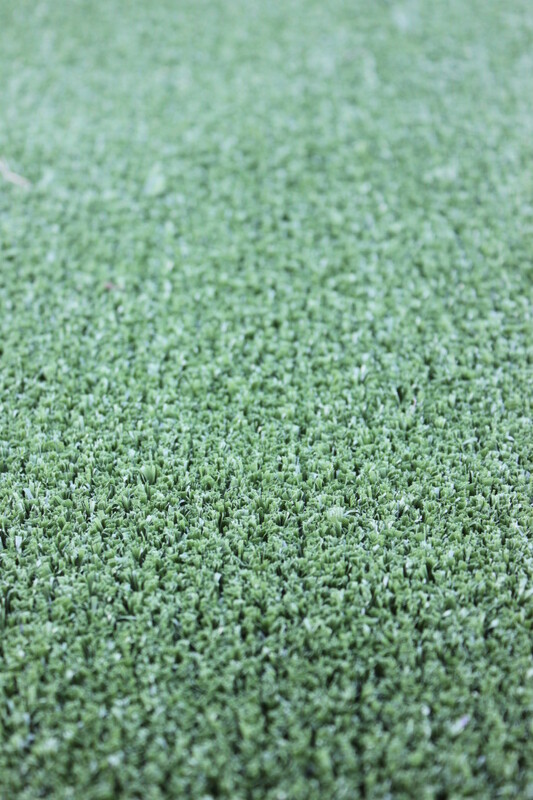 Gecko’s system provides the option for ‘lush’ fringe grass outside the pitch surface and on ‘run-up’ areas for a more natural and appealing look, and which also gives the player greater comfort. For those ‘run-up’ areas that encroach onto football ovals, Gecko has a Soft-fall pad option that conforms to Australian Standard 4422:1996. Whilst our Premium Synthetic Grass helps protect the ground surface, Gecko’s industrial grade rubber curtain which is affixed to the net’s fence, provides an outstanding solution for it’s protection and longevity, and in turn increasing your return on investment. 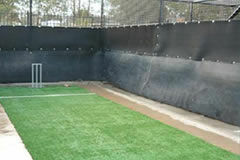 The curtain also protects the ball and assists in keeping the area clean of rubbish and debris by providing a barrier. Gecko’s is your ‘one stop shop’ and can supply both the concrete slab base and net fencing. 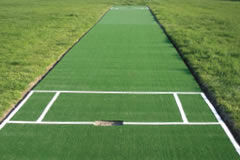 We literally start with a cleared area of land and build the Complete Gecko Cricket Practice Nets System. With Gecko your Practice Nets System is installed by qualified people who are trained to the highest level of competency. This eliminates any risk of poor workmanship at your organization’s facility. Gecko offers a guarantee unsurpassed by anyone else in the industry. At the completion of the project we provide a ‘Written’ guarantee for protection against both the installation process and the product. 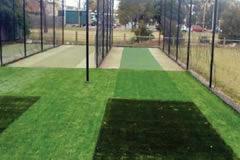 Gecko’s Practice Nets System grass is guaranteed from 6 years. 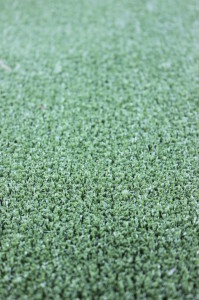 Gecko’s Synthetic Cricket Pitch grass is UV stabilized against fading and deterioration. Australia’s UV level is greater than most other countries in the world hence it is imperative that a quality UV resistant material is used in order to achieve our 6 minimum year guarantee. Synthetic grass is a very low maintenance, zero water surface solution that continues to perform all year round. The maintenance required is generally no more than removing leaves or debris with a leaf blower or plastic rake. Gecko’s rubber curtain is manufactured from recycled tyres.